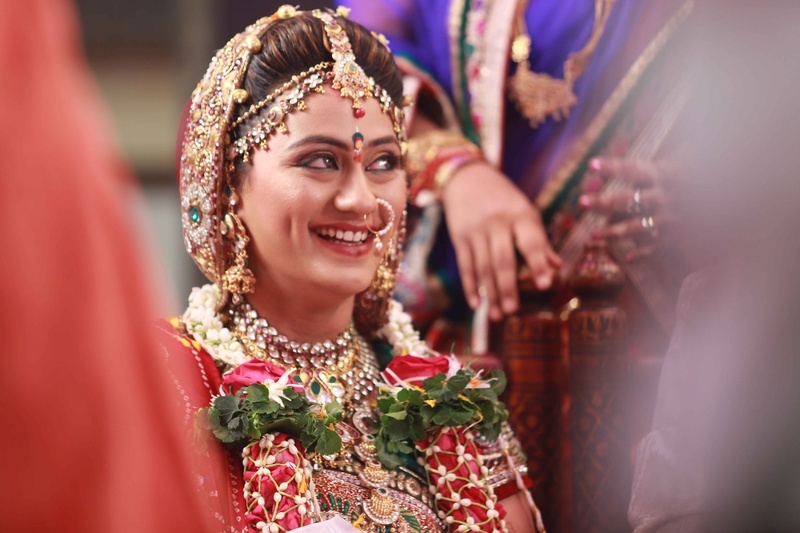 Dipti and Mihir’s wedding gives us an opportunity to firsthand witness how a traditional Gujarati wedding is celebrated. 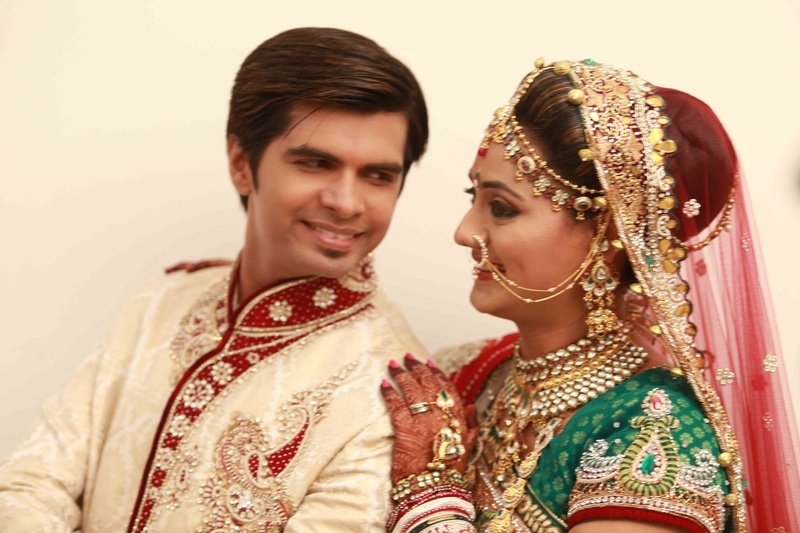 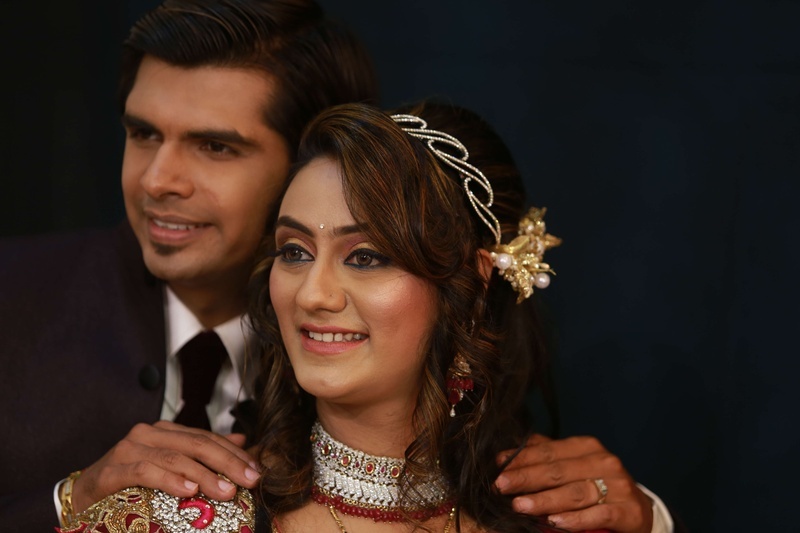 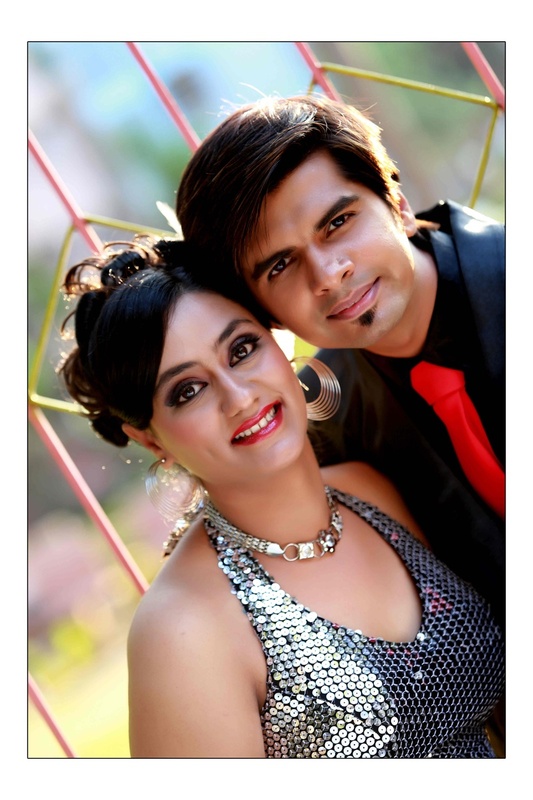 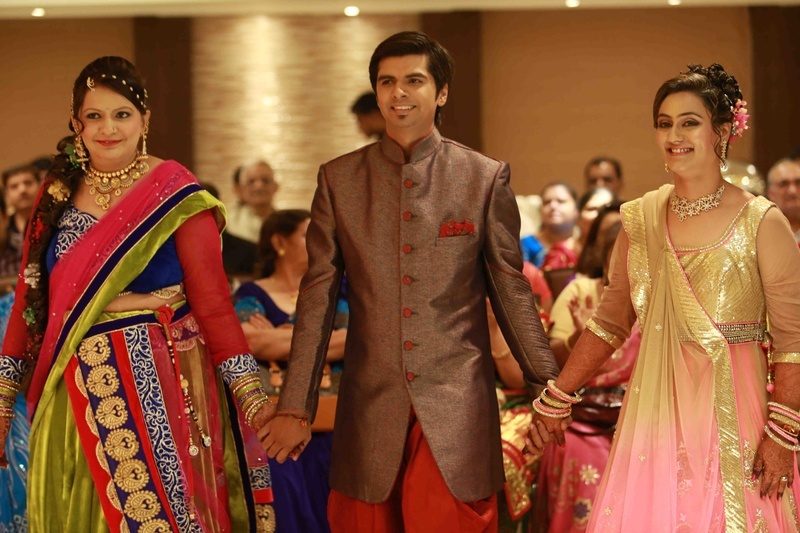 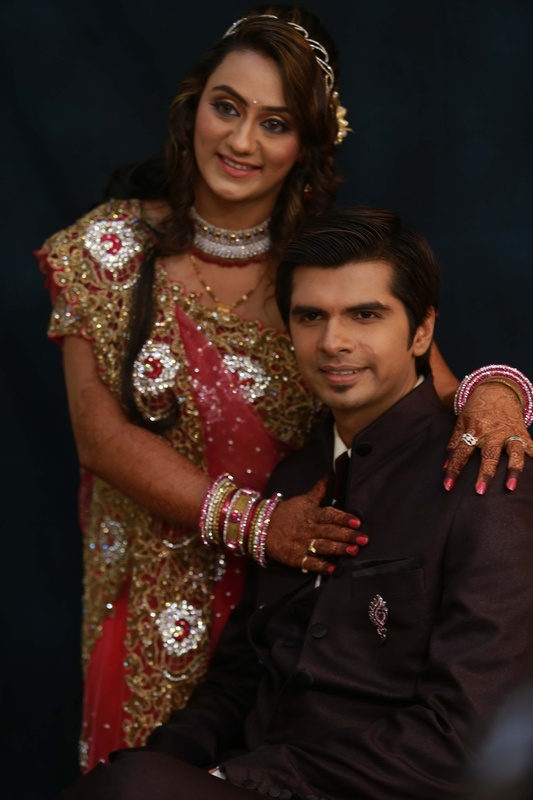 Their wedding not only had a strong essence of the Gujarati culture but was impressively simple. 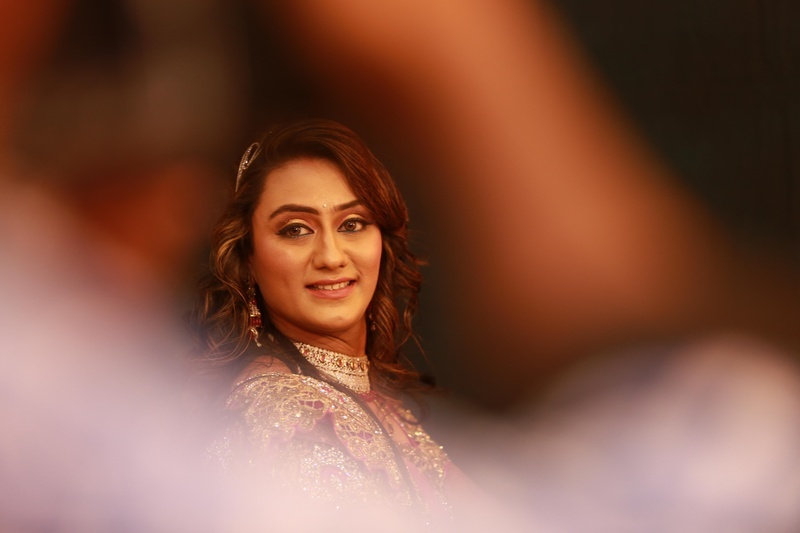 Sitting on a horse, the groom arrived at the venue with the entire baraat. 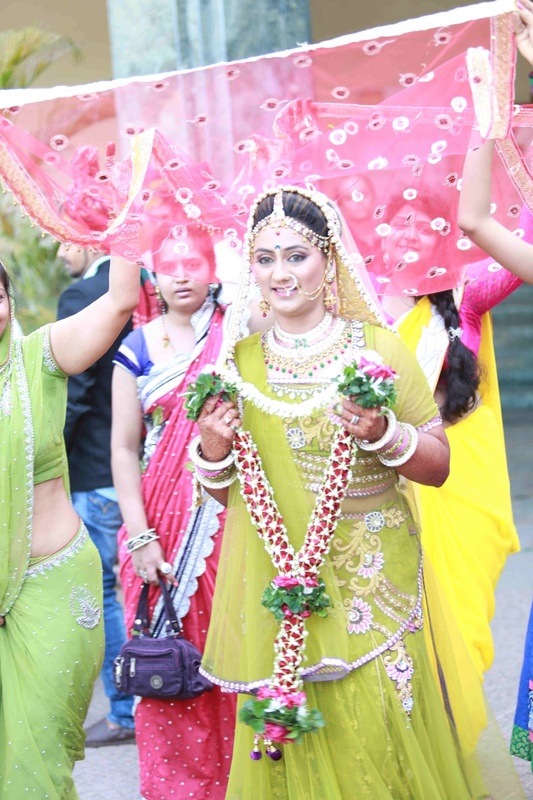 With a pink chunri over her head, the bride welcomed the groom wearing an awesome lime and green lehenga. 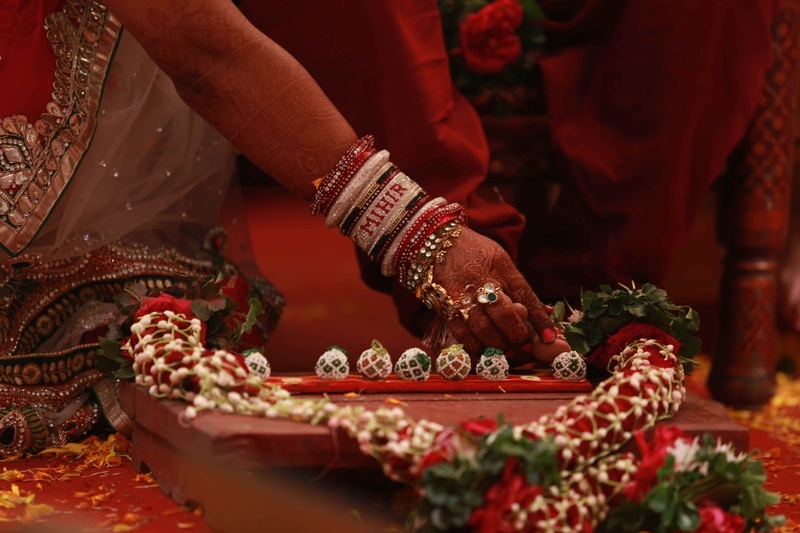 The marriage ceremony was followed by the reception and was held indoors. 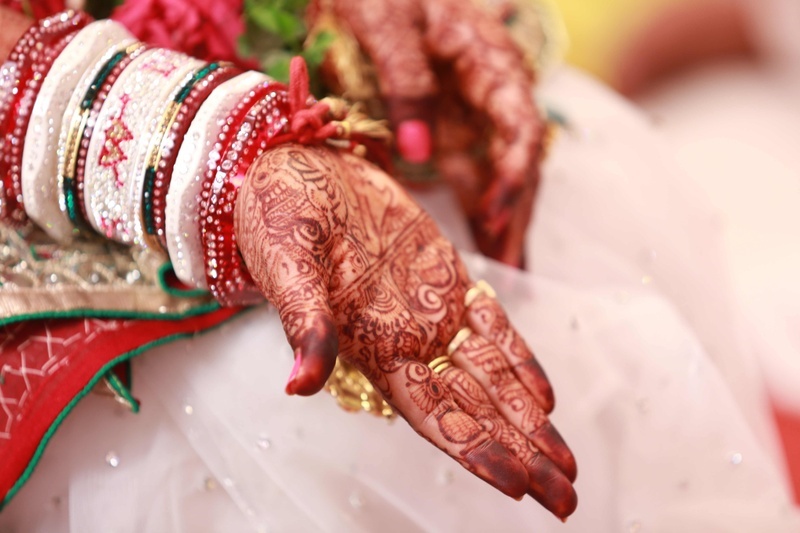 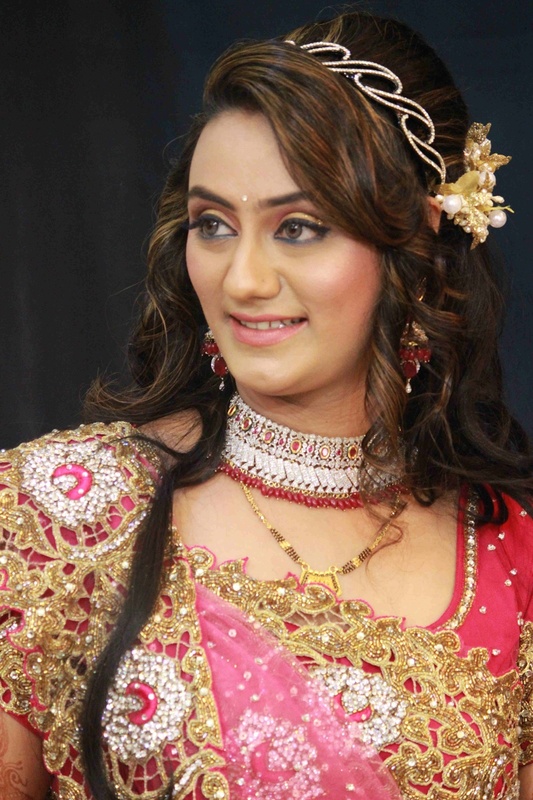 Dipti’s ornaments was the center of attraction at this wedding. 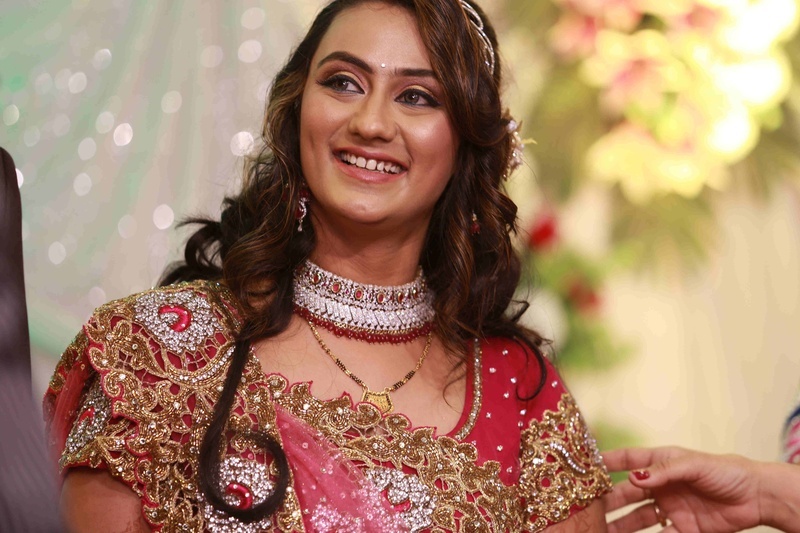 She adorned ethnic mathapatti, choker and nath which gave her a very distinct and a charming appearance. 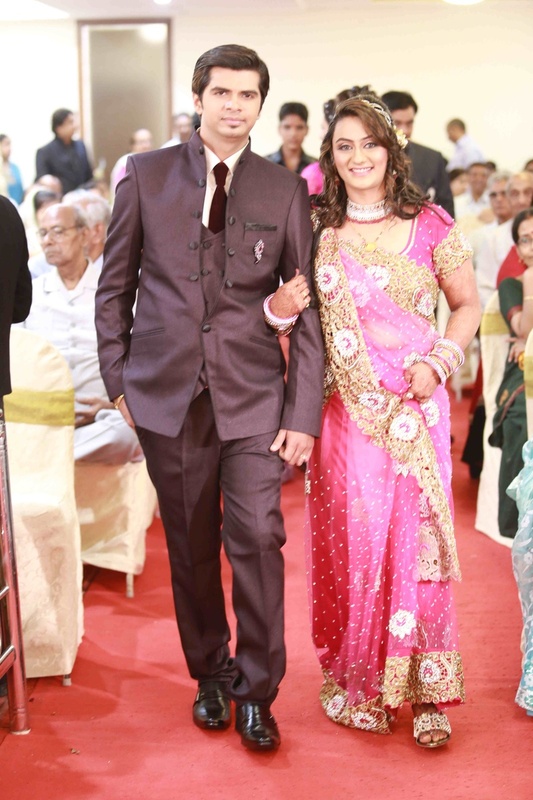 She also wore a set of choodas with Mihir’s name engraved on it. 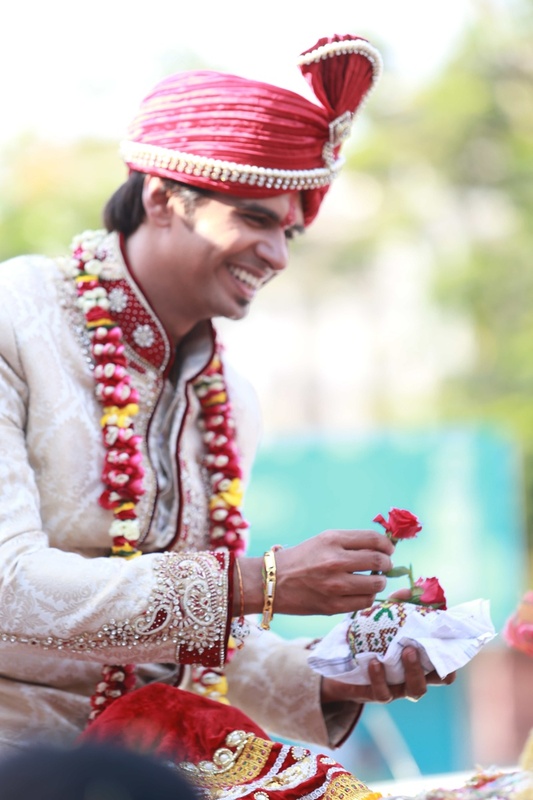 The groom wore a traditional shervani with a red dhoti and styled it up with a red pocket square for most part of the ceremony. 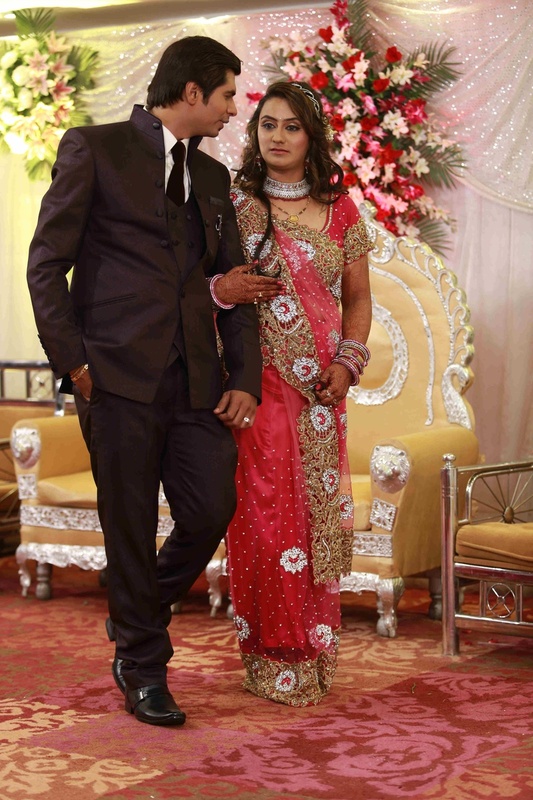 For the reception, he wore a charcoal black shaded blazer and the bride opted for a bubbly pink saree. 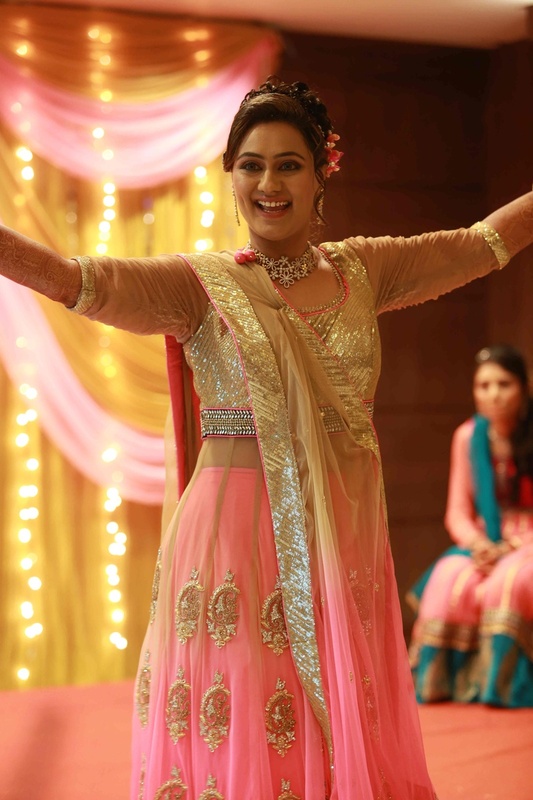 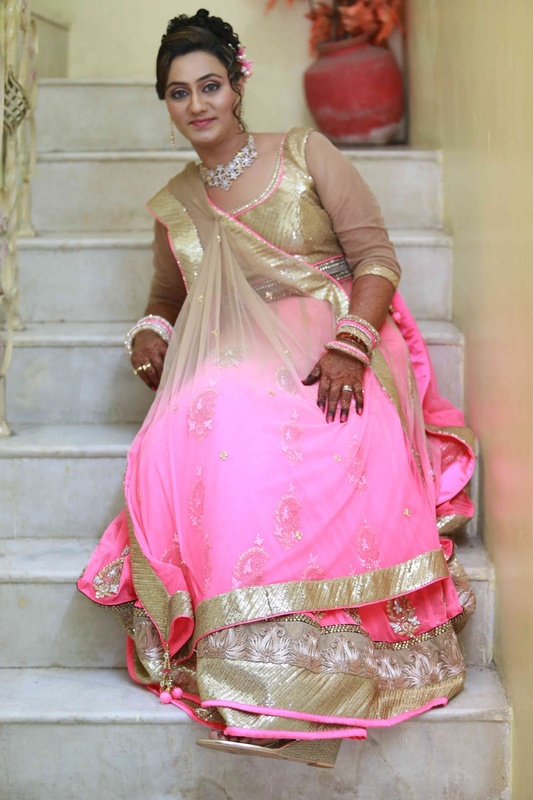 Bride carries this baby pink anarkali lehenga with grace. 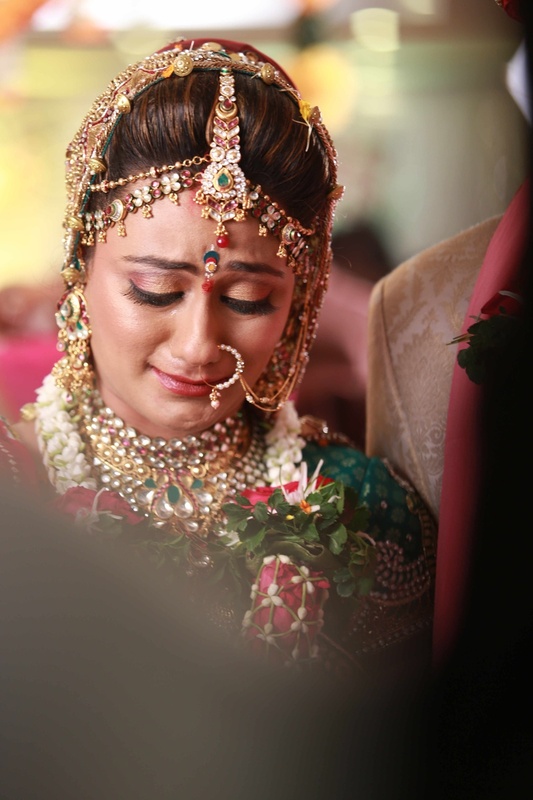 With extraordinary set of jewelleries on her, the bride's look leaves us mesmerized.